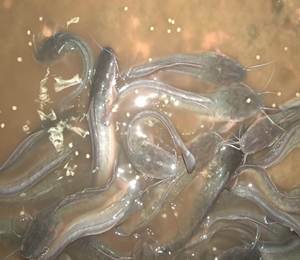 In catfish farming and every other agribusiness venture, knowing and applying the right cultural practices is very important for success. The first time I tried fish farming was when I was in secondary school. 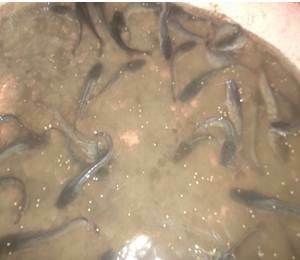 At that time, my mindset about catfish farming was all about purchasing fingerlings from hatchery, stocking them in a tank, and feeding them till they get to table size. 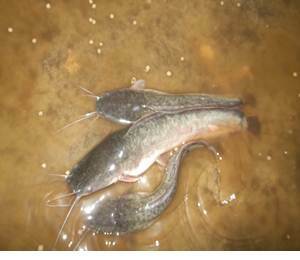 All those were just the basic stuffs about catfish farming, but there is more to it if one is to achieve success in this venture. 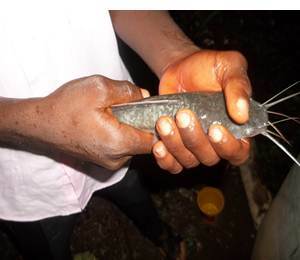 Today, I'm happy to tell you that my training, lectures and studies about catfish farming paid out well. The cat fishes are doing well. 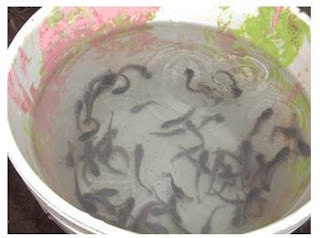 1. fingerling stage: 1mm sized 57% crude protein pelletized catfish feed. See their size at fingerlings stage. At the fingerling stage they were very small. 2. 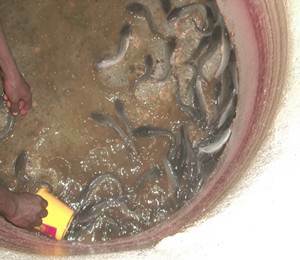 Post fingerling stage: At this stage the fishes were fed with 1.5mm sized , 57%crude protein pelletized feed. 3. Juvenile: The fishes were the subsequently fed with 1.8mm feed(57%crude protein). 4. Post-juvenile: 2mm(47%crude protein) and now the fishes are being fed with 3mm feed(42%crude protein). 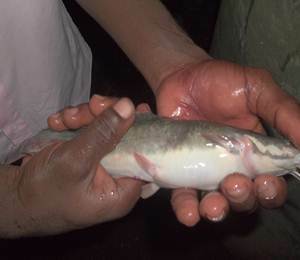 These are the pictures I took after the 2nd month of catfish farming.